I have been working like a manic fool getting my piece ready for the EHAG Emporium. The manic fool part occurred when I was looking at a calendar and thought that I had less time and more work to do. 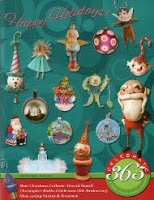 That calendar I realized was for the month of December 2009 and is now taken down. 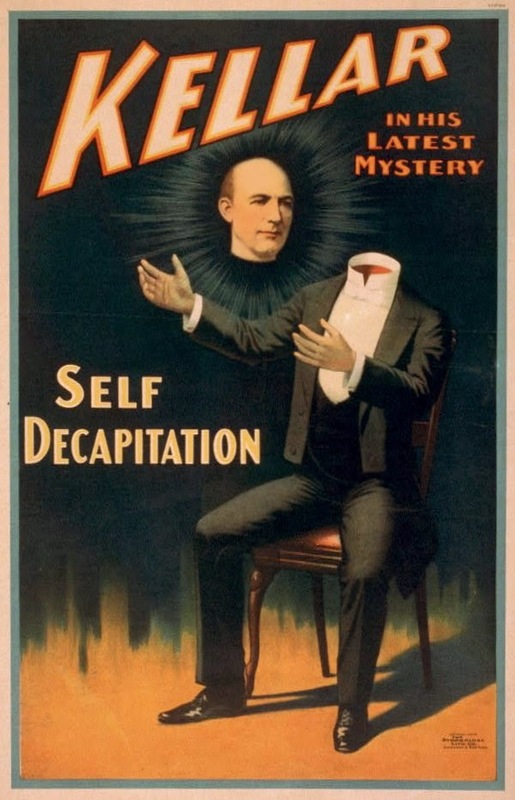 Here are some more magic posters from the US Library of Congress to have a look at. Kellar performed in the latter part of the 1800's and in the early 1900's. These early posters convey a wonderful sense of mystery and intrigue. 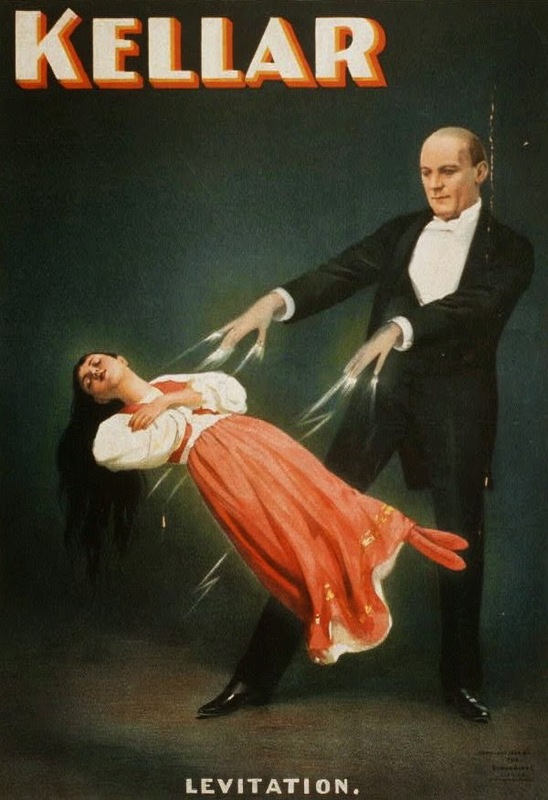 This poster and the one following are depicting an illusion that Kellar created called "The Levitation of Princess Karnac". I much prefer the previous poster but the electricity that is zooping out of his fingertips would be a great party trick. A curious cabinet in the background that causes strange things to happen to the articles placed inside and a dancing handkerchief, what more could you want for an evening’s entertainment at the theatre? 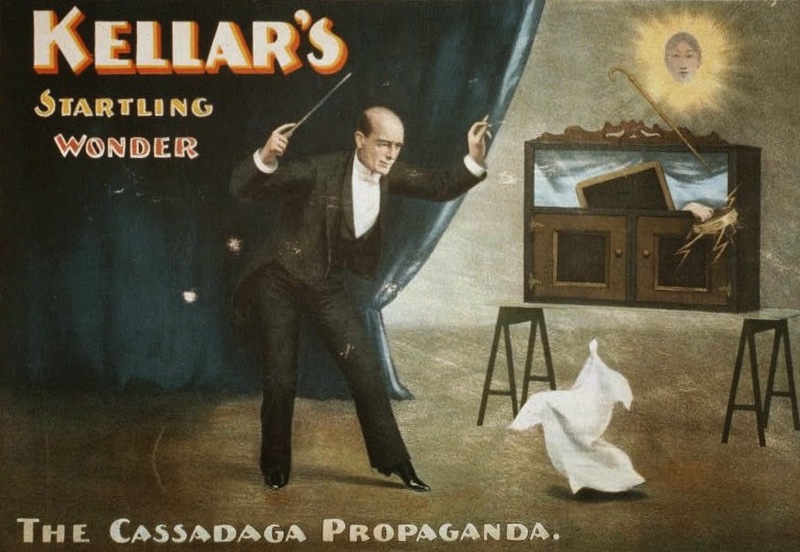 This wonderful poster depicts several of Kellar's illusions. The artistry of the layout and quality of the draftsmanship are superb. A cabinet is assembled on stage raised from the floor so that the audience can see underneath. 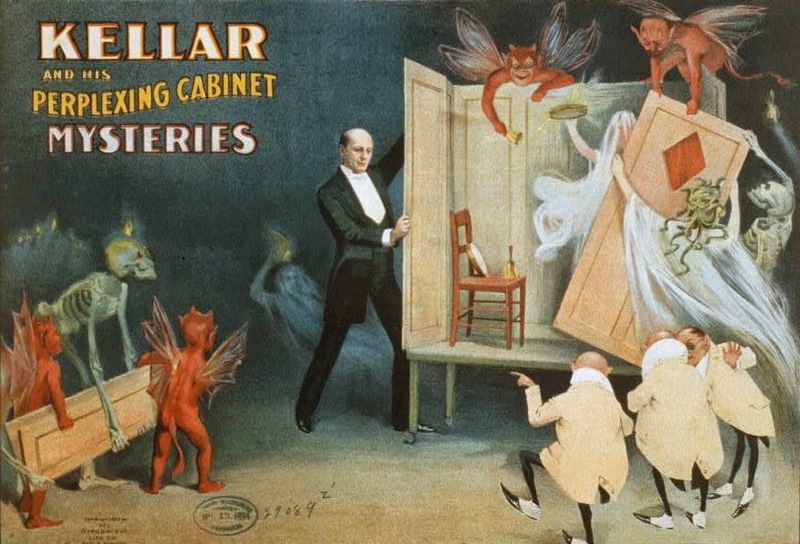 A chair, a tambourine, and a bell are put inside of the empty cabinet, the doors are closed, and then the "Perplexing Cabinet of Mysteries" begins with the ringing of the bell, the shaking of the tambourine, and finally tossing out of the chair onto the stage. We want to know how it is done but in the same instance we don’t want to know, we want to have mystery in our lives. Ah well, I must get off to work and get my project done. Can't wait to see your Emporium Piece!!!! Hi "B", thank-you. Do you have any ideas what it might be and who may be in it? I have been wanting to email you but have been uber-busy. You will get that email soon.